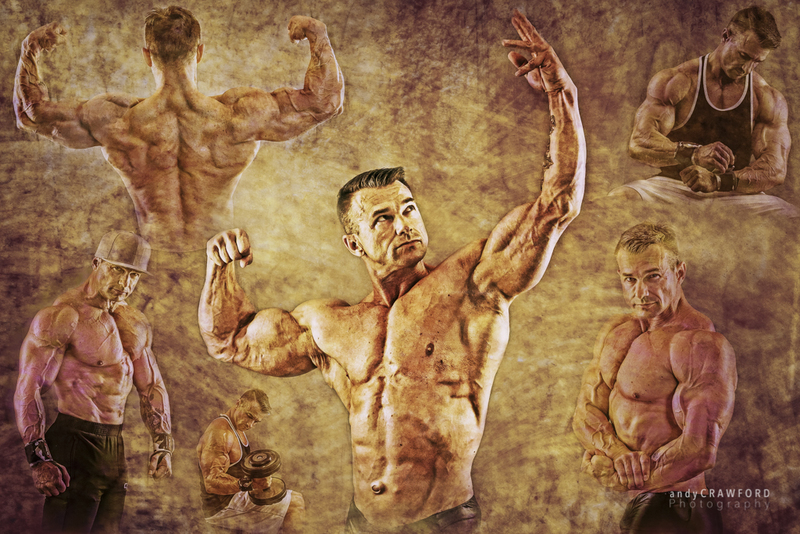 Learn how some time in Andy Crawford Photography’s studio can result in a stunning montage. Baseball, football, track and other sports are an integral part of family life today. 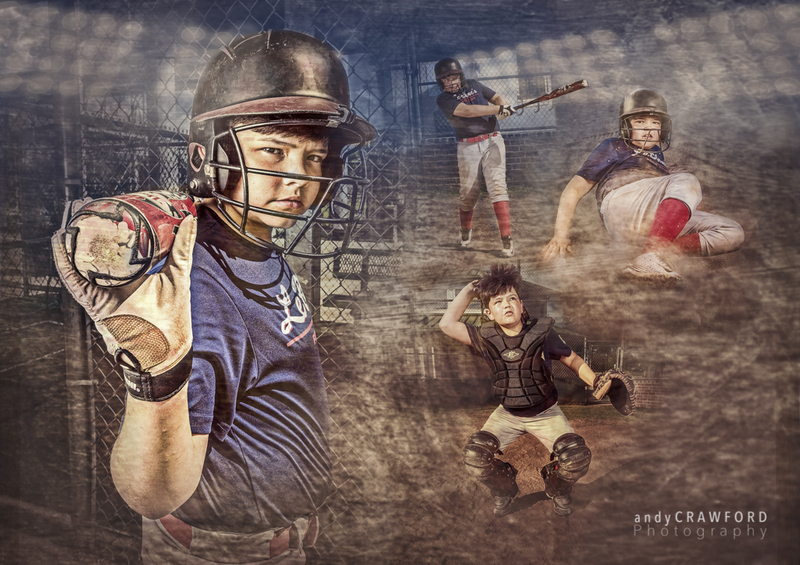 And the lessons learned and memories created last a lifetime — so why not memorialize your young athlete’s accomplishments with a fine-art montage? Each collage is custom-designed, and can be created with on-location images or with in-studio photos lighted specifically to help build drama. I take the time to retouch each individual portrait to ensure its impact is maximized, and I add stadium lights and other elements that enhance the look. The textures used add a a finished look that that instantly reminds everyone of the grit it takes to succeed. 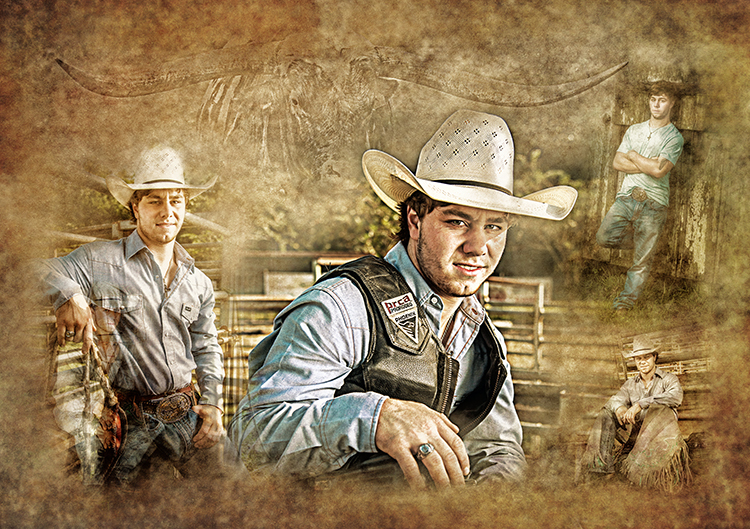 • 16×24-inch fine-art prints — Each print, produced by one of nation’s top printers, is backed by a stiff styrene board to ensure the print never wrinkles or sags. Custom framing is available. so be sure and ask for pricing. Gallery wraps are printed by one of the premium printers in the Unites States using museum-quality canvas using archival inks, with the resulting canvases being stretched around 1.5-inch wooden frames. The wraps are backed by a heavy black material to provide a beautifully finished presentation, and framing is not necessary. Just email me today to schedule your custom photo session. Learn how you can create unique, custom-designed photo montages of your young athlete to memorialize his or her achievements. 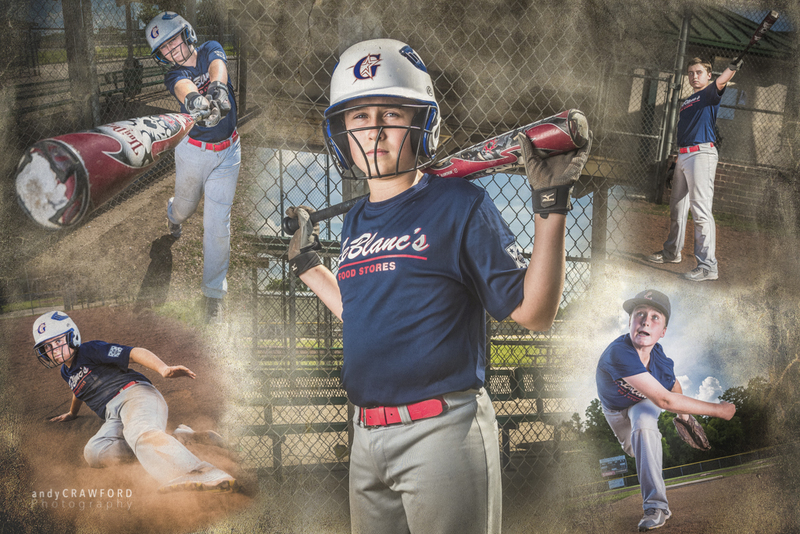 Elevate your portrait session with a custom-designed collage of images that show your son’s or daughter’s sports achievements. 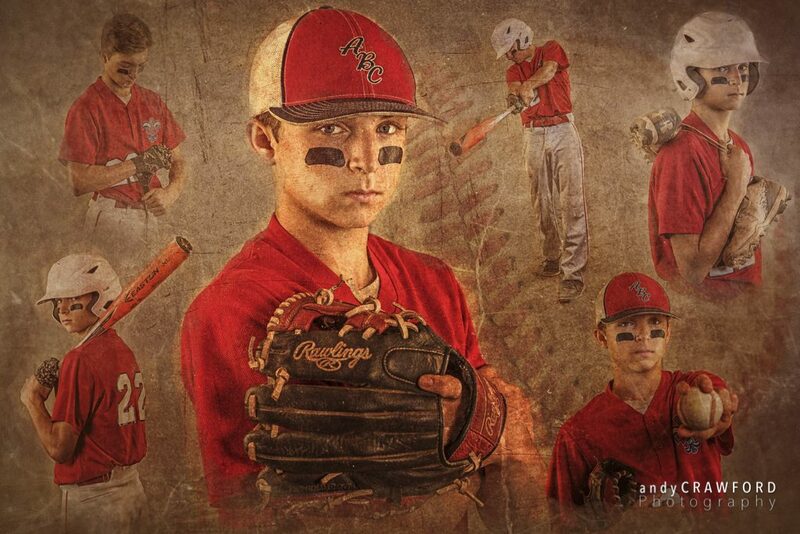 Custom-designed photo montages make the perfect way to show the hard work that goes into sports like baseball.